The sugarcane industry contributes 11% to agri-employment, and creates around 79 000 direct jobs. 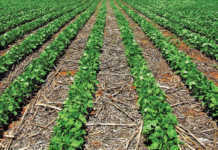 The crop is resilient, with the ability to bounce back despite tough growing conditions. The sugarcane industry is seeing the consolidation of small-scale plots into co-operatives, such as this one in Glendale Valley in KZN, to maximise scale of operations and reduce costs. Dryland sugarcane growers in KwaZulu-Natal have suffered a double blow, with two droughts in the 2010/2011 and 2014/2015 seasons respectively. Other factors such as high labour and input costs are putting downward pressure on grower returns. However, Nicholson says the expected lower cane supply will lead to an increase in the recoverable value price. There are currently an estimated 23 426 sugarcane growers in KZN – 1 305 large-scale and 22 121 small-scale. Nicholson estimates that large-scale growers in the province employ around 68 750 people. The industry as a whole creates 79 000 direct jobs or 11% of agri-employment, with a total average industry income of R12 billion/year. “Sugarcane is the second- largest South African field crop by gross value, and represents 17,4% of total gross annual field crop production value,” he says. Some dryland farmers in KZN, including those in the North Coast, Amatikulu and Felixton areas, have been more affected by the drought than others. “Although the South Coast region received some rain this summer, it has been negatively affected as Illovo decided to close the smaller Umzimkulu mill. 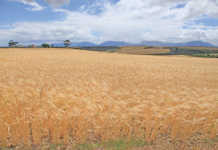 Farmers in that mill area will be diverted to the Sezela mill for this coming season,” Nicholson says. Some 78% of the industry’s total production for the 2014/2015 season is in KZN, and of this, about 91% is dryland production. 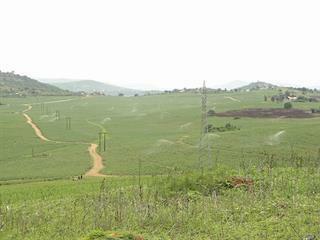 Although some areas are able to make use of supplementary irrigation, about 30% of total production takes place in the northern irrigated areas of Pongola, Malelane and Komatipoort. “These areas have not been adversely affected by the drought. And remember – sugarcane is quite resilient,” says Nicholson. According to Nicholson, the sugar industry is one of the most progressive commodity sectors in terms of land transfers, and has transferred 74 624ha (22%) to black farmers. However, 125 000ha (38%) of commercial freehold land remains under land claim, and according to Madhanpall, the settlement of gazetted land claims remains a priority. Agricultural project management support by milling companies. Falling productivety on land reform farms remains a concern, and there is a need for post-settlement support and governance. “The RLCC buys land with no equipment or operating capital and as a result production falls. The communal restoration model has also resulted in serious social issues which places production at risk,” says Madhanpall. 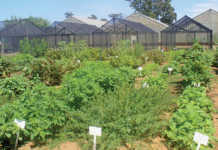 Small-scale growers face other difficulties, including declining production due to climatic conditions and rising input costs; limited access to production support; contractor-dependent models that eat into profits; and a lack of infrastructure such as irrigation, dams and fencing. The industry is finalising a rural development strategy that will use sugarcane as a catalyst for economic development, along with diversifying into cash crops and livestock. “The focus is on improving livelihoods through food security, job creation, providing basic services, and infrastructure development,” says Madhanpall. Phone SA Canegrowers on 031 508 7200 or email [email protected].